"For every project, I try to find a few chairs with interesting lines that I can float in the middle of a room." Named after our warehouse dog, who simply adores perching on the dramatically upswept, curved arms - this chair offers effortless good looks. 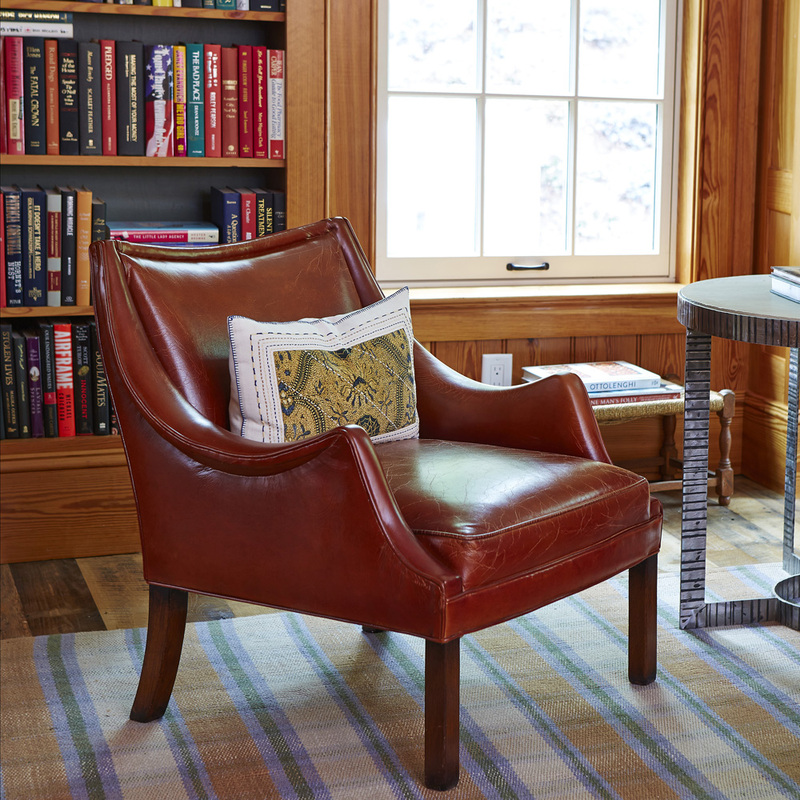 A bold addition to your home office or library, it is also exceptionally comfortable! With a deep, plumped seat; angled back; and plush back pillows for extra support. Minimum 4 yards COM or 90 Sq. Ft. required.